Officials of the Independent National Electoral Commission, INEC, have arrived at the National Assembly Complex to inform Kogi West Senator, Dino Melaye on receipt of the petition on his recall. 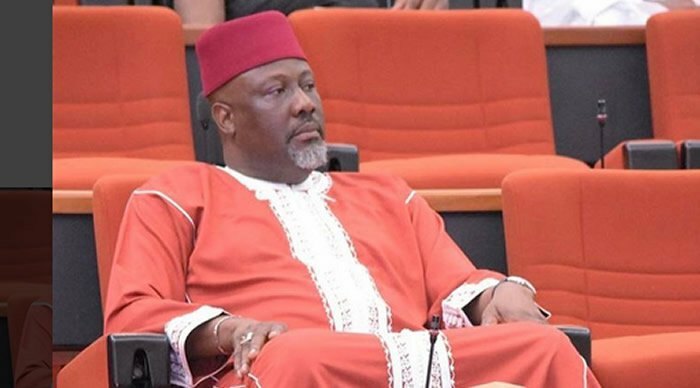 The officials currently at the door of Melaye’s office with heavy documents believed to be the petition met a locked office. Melaye’s is aides were not also seen around the office to receive the petition. The embattled lawmaker had on Monday said the 90-day deadline set for INEC by Section 69 of the 1999 Constitution (as amended) had expired. “I celebrate the obituary of the ‘Made in Taiwan’ recall exercise, while sympathising with the induced petitioners, who will obviously face charges of forgery and other criminal charges before a court of law very, very soon,” he had said.